Over four degrees latitude from the northern to southern Sierra Nevada (Shasta to Tulare counties), this long-term, multi-decade study will compare treatments representing fundamentally different climate change impact scenarios and a suite of potential approaches forest managers may take to mitigate impacts on the ecological, economic, and social services provided by forest ecosystems. Ongoing and predicted impacts to forests include regeneration failures, shifts in species’ ranges, drought mortality, and increasing severity of disturbances such as bark beetle outbreaks and/or fire. These changes are creating uncertainty in how forests will function in the future and concerns around sustaining ecosystem goods and services. This Sierra Nevada-wide project will utilize progressive, scientifically-supported silvicultural treatments to increase resilience, resistance, and adaptation capacity of Sierra Nevada mixed conifer forests. Resilience treatments closely mimic forest structure under historic fire conditions and are designed to prepare the forest for disturbance by creating stand conditions that will facilitate recovery of pre-disturbance composition and structure. These treatments mitigate climate change effects and reduce the likelihood of requiring assisted recovering following disturbance or catastrophic climate impact through retention of diverse species and structures. Resistance treatments are aimed at reducing fuel loading and will prepare the forest to resist a disturbance by creating stand structure that is open, park-like, and forces fire to stay on the ground. These treatments favor large trees that can rapidly respond to release and increase in average diameter. Treatments further change stand structure by removing ladder fuels and increasing spacing among trees. Transition treatments will work to actively help the forest adapt to changing climate, representing the scenario where resistance and resilience treatments are not effective and the forest cannot recover without intervention. Treatments mimic a disturbance that fundamentally changes the composition and structure of the forest. In this treatment, foresters will use group selection to favor large, live trees but also create large gaps for reforestation. A diversity of species and seed sources (provenances) will be selected for reforestation, which will include both local populations and those predicted to be better adapted to current and future climate conditions. Click here for more information about the AMEX project. 1) How do compounding disturbances influence the trajectories of coast redwood forests and their long-term resilience? 2) How do belowground (soil) legacies of single and compounding fire disturbances vary over time? 3) Do soil legacies of fire disturbances have measurable effects on coast redwood regeneration? To answer these questions, we are mapping post-fire forests and local above- and belowground conditions across four burn years spanning 1985-2013 in Big Sur, California. Improved understanding of the effects of fires is important in coast redwood forests, which will see increased fire frequency in the future. Research into variation in disturbance legacies over time will help to fill gaps in the basic knowledge about coast redwood regeneration and may address how controls on regeneration vary under differing disturbance regimes. This research will contribute to our understanding of influences on forest regeneration following novel disturbance patterns under climate change for coast redwood forests, and provide information relevant in forest ecosystems outside of the coast redwood range. ​Disturbances are vital processes for the composition, structure, and function of all forest ecosystems. Although both natural and often common to forest ecosystems, disturbance frequency and severity are predicted to increase across western forests and interacting disturbances will become more likely. Multiple disturbances may generate novel responses and differential recovery of forest ecosystems, and little is known on the effects of these interactions. The 2014 King Fire burned ~97,000 acres on the El Dorado National Forest and adjacent lands. A subset of areas impacted by high severity fire will be salvage logged in Fall 2015. Led by Pacific Southwest Research Station forest and fire ecologists, we initiated a study to evaluate the long-term impacts of varying degrees of salvage on regeneration and long-term stand dynamics. This study will assess the interactions between mixed-severity wildfire and post- fire salvage logging on regeneration by addressing the following questions: 1) Does salvage logging have different and/or additional ecological effects than wildfire alone? 2) What is the combined effect of wildfire and subsequent salvage logging on conifer regeneration? and 3) How do variations in intensity of natural and anthropogenic disturbances alter post-disturbance regeneration and long-term stand dynamics? We are working with the PSW Research Station to establish plots across a gradient of salvage intensities and including blocked areas to assess replanting and shrub removal. Research will follow regeneration and stand development over time in order to adequately address these questions of interest. We are collaborating with the Pacific Southeast Research Station to evaluate the response of historically-dominant conifers to altered past, present, and future climate and local environmental conditions. Our lab established experiemntal and observational plots across the Stanislaus-Experimental Forest and within Yosemite National Park to examine the influence of local climate, interspecies competition, and historic management practices on conifer regeneration over the last century. Masters students Emily O’Dean and Marissa Vossmer will take lead on this study. Historic Drivers of Composition in Sierra Nevada Mixed-Conifer Forests: Changes to the composition of western forests due to forest management, fire suppression, and altered disturbance regimes influence seedling establishment and survival through alterations to the regeneration environment, which can modify the type and suitability of seedling establishment sites. Although historic datasets are frequently used to identify such changes, no studies have tracked seedling survival or followed seedlings through to current Sierra Nevada forests. The objectives of this study are to: (1) track and identify survival differences of dominant Sierran conifers across different establishment conditions, (2) quantify and track seedling survival under different understory compositions, and (3) identify abiotic and biotic factors that influence seedling survival. I will use a historical dataset (circa 1929) and a 2016 re-measurement to track seedling survival from historic to current forests and examine the relationship between survival, abiotic site factors, and biotic competition of shrub species. Tracking historic seedling survival and examining the site conditions and understory compositions that influence survival can provide useful information for forest managers as to how current forest structure and composition will influence seedling survival and future forest community composition. Ecotone shifts under current & predicted future climate change: Increasing temperatures, fluctuating precipitation, and longer growing seasons associated with climate change may pose a severe threat to the sustainability of certain tree species, either through interspecific competition or stress due to lack of suitable habitat. Our research will bridge some of the gaps in knowledge that exist in the mechanisms of survival in two conifer seedlings in a major California ecotone – Abies concolor and Abies magnifica. Previous research in this ecotone includes an observational study conducted by Albert Parker between 1984-1988, which sampled overstory and understory composition in this ecotone in Yosemite National Park. Parker’s research determined that the ecotone was stable, but after 30 years of a changing climate, returning to these sites may present evidence of instability and significant compositional shifts. By re-sampling this ecotone and supporting our results with an ex-situ factorial climate manipulation of these conifer species, we will be able to quantify shifts in range, and determine if abiotic climatic factors are the driving force behind shifts. Abies magnifica may be at particular risk from climate change, due to its limited upper-montane range. Interspecific competition and rapidly changing climatic conditions may drive this species toward higher elevations, which in some cases may not exist. We are initiating a study across southeast Alaska to evaluate the early life stages of Pinus contorta ssp. contorta (shore pine). This collaboration with the Pacific Northwest (PNW) Research Station in Juneau will use extensive field sampling, permanent plots, dendrochronology, and paleoecology to understand the conditions under which this species is able to regenerate and establish in peatland ecosystems. Yellow-cedar (Callitropsis nootkatensis) is a long-lived, slow-growing tree species of high ecological, economical, and social value in southeast Alaska. Researchers at PNW have documented the decline of this valued species over the last 25 years. Although there is extensive research on the distribution and drivers of this decline, there is no understanding of current trends in regeneration and establishment. We are working with PNW to establish a regeneration study that will map regeneration and evaluate this species’ resilience to both natural and anthropogenic disturbance. Permanent plots have been fully mapped in areas of high mortality and areas predicted to be at the leading edge of range expansion. We will utilize time series datasets, local and regional climate, and spatial analysis to identify the primary drivers of success in the regenerating community and the potential for forest type conversions as climate continues to change. Additionally, we have paired these sites with stands that will be salvage logged in order to track the influence of management on the regenerating community and long-term stand dynamics of the forest. Landscape Genetics: The distribution and geographical arrangement of species has long fascinated ecologists. Widespread, morphologically-variable species are of particular interest, as they lend themselves to the pursuit of integrated research that addresses the biology, ecology, evolutionary history, and historical migration patterns of species. Many forest tree species have extensive ranges that occur over a breadth of environments, with these species documented to effectively disperse and remain connected through gene flow across disconnected, distant, and heterogeneous landscapes. These widely-dispersed, wind pollinated species appear to overcome the substantial landscape barriers known to limit gene flow among other plant populations, but the effect of the landscape on dispersal and connectivity has rarely been tested in forest tree species. Pinus contorta (Douglas Ex. Louden) is one of the most widely distributed trees in North America, playing an ecologically, economically, and historically important role in western forests from Baja California to the Yukon Territory. This species’ broad distribution is divided into four geographically and morphologically distinct subspecies (ssp. latifolia, contorta, murrayana, and bolanderi). Each subspecies inhabits a discrete portion of the species’ range, growing under and hypothesized to be locally adapted to a unique set of environmental and climatic conditions. We used landscape genetics to explore the influence of spatial patterns and landscape characteristics on population structuring across the four subspecies of Pinus contorta. This analysis of gene flow across the range of Pinus contorta indicated only moderate population differentiation at the continental scale. The three genetic clusters identified in this analysis correspond with North American physiographic regions that are separated by conspicuous geographic barriers and characterized by distinct environmental conditions. The genetic clusters identified here coincide with three of the four subspecies (contorta, latifolia, andmurrayana), and the geographic distribution of genetic clustering supports the taxonomic treatment of these three subspecies. Landscape Genomics: We are collaborating with Dr. Thomas Parchman on genomic sequencing of the samples from our landscape genetics study. The goal of this work is to obtain better resolution of genetic differentiation across this widespread species. Current work involves the use of next-generation sequencing technologies for studies of geographic and adaptive variation across the four subspecies. Understanding the processes limiting the natural distributions of species is central to ecology and its application to land management. Most species are limited to a fraction of their potential distribution by abiotic or biotic conditions along local gradients. The environment serves as the first filter to species’ occurrence, and although abiotic factors strongly influence every species’ distribution, biotic factors can also limit or exclude species from habitats that are otherwise suitable. The concept that a species may occupy only a portion of its potential range, and that the habitat occupied may vary by site or region, is essential to understand when species distribution information is used in land management and regulation. The US Army Corps of Engineers (USACE), for example, uses species occurrence as an indication of ecological site conditions and for subsequent use in wetland delineation. Wetland plant indicator status and its application to wetland delineation are heavily debated among delineators, as classification is based on presumptions of ecological site preferences and not on landscape-level frequency data. Our research in southeast Alaska addressed this gap in knowledge. We used a local hydrologic gradient to identify the main drivers of three local tree species: Pinus contorta ssp. contorta, Picea sitchensis, and Tsuga heterophylla. We found that species tolerances did not conform to presumed preferences for site conditions. Species that could be successful across the entire hydrologic gradient were constrained by competition from co-occurring tree species. Across this gradient, local topography and associated hydrologic conditions act as the first filter to species occurrence. Pinus contorta was then constrained by competitive exclusion. The other tree species were able to occur across the gradient, but biomass was limited by hydrologic stress and nutrient limitations. We found that species’ success varied across a hierarchy of spatial scales and that plant indicator status does not accurately capture the main limitations on species occurrence and abundance. Check out my recent Ecological Society of America talk on this subject Bisbing_ESA2014_reduced. Collaborators: Dr. David Cooper (Colorado State University), Dr. Dave D’Amore (USDA Pacific Northwest Research Station, and Dr. Kristin Marshall (NOAA-Fisheries Northwest Fishery Science Center). 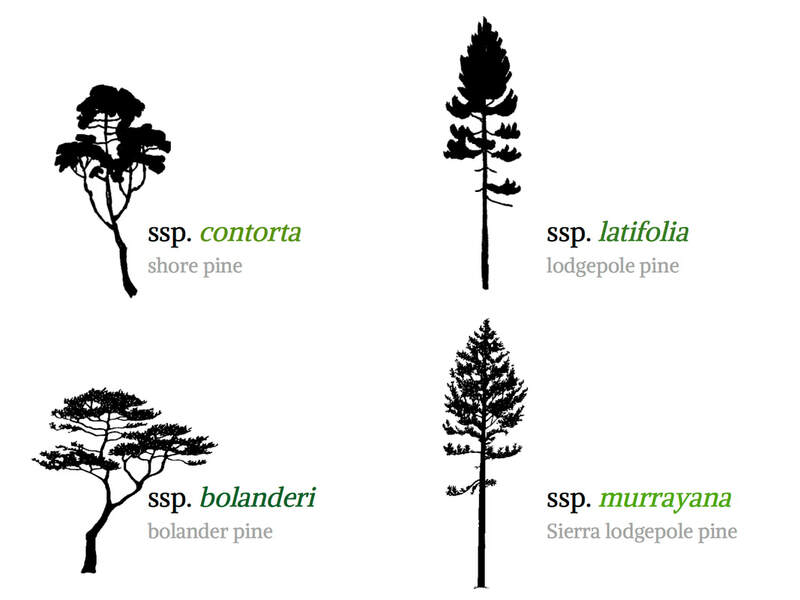 This project investigated shore pine (Pinus contorta ssp. contorta) mortality and damage in southeast Alaska, a trend revealed through comparisons of Forest Inventory Analysis (FIA) re-measurement data from 2004 through 2008. This study was initiated to better understand the recent decline in shore pine biomass in southeast Alaska. The objectives were to gather baseline information about the pathogens, insects, and other damage agents of shore pine and to evaluate the extent of mortality and dieback across southeast Alaska. We wanted to determine if there was evidence of a recent pulse in mortality among the largest size class of shore pine; identify the primary causes of shore pine crown dieback; and evaluate potential spatial patterns of dieback or mortality. We identified gall rust severity of infection as a primary driver of crown dieback occurrence, and bole gall presence as a predictor in the percentage of crown dieback. The causes of tree mortality are difficult to evaluate over the short term, but the long-term monitoring plots installed in this study will be tracked over time and used to identify the abiotic and/or biotic factors leading to shore pine decline across the region. Sudden Oak Death (SOD) early detection surveys have been conducted for over a decade (2000 – 2014) in California’s coastal oak and evergreen forest ecosystems. These surveys are designed to track the spread of the Phytopthora ramorum pathogen along California’s coastal forests to support mitigation and management efforts. Past surveys supported targeted efforts for treatment strategies as well as research methodologies. Information gathered informed understanding of infection extent and movement, while also tracking spread from currently infected areas to adjacent, uninfected forest ecosystems. The current southern extent of the pathogen lies within Monterey County. To date, P. ramorum has not been documented in San Luis Obispo County. Monitoring at this range edge is intended to capture any migration of the pathogen further south. Pinus radiata (Monterey pine) is an endangered, endemic California conifer, yet is one of the most widely planted and cultivated pines across the globe. Native populations are limited in extent and were drastically impacted by Fusarium circinatum (pitch canker) introduction (ca. 1986).Assessment of pitch canker effects on grown Monterey pine trees became a subsequent research priority but failed to study the fungus’s effects on regeneration. The objective of this study was to fill this knowledge gap by 1) determining the relationship between pitch canker infection severity and tree phenotype, genotype, and spatial orientation with planted stands, 2) quantifying survival rates as a function of change in tree, stand, and infection rates over time, and 3) assessing the influence of silvicultural treatment and parent tree genetics on infection resistance and survival of planted seedlings. Areas of the Año Nuevo stand were experimentally treated using group selection and either lop-and-scatter or pile burn. Treated areas of the Año Nuevo stand were planted, and the seedlings were tracked over 14 years. A generalized linear mixed model was used to determine the primary drivers of seedling success and resitance to disturbance, and DBH and parent tree genetics appear to be the most important factors. Findings from this study will support forest management in both the native stands and planted stands around the world and can be used to better predict seedling survival and resistance following pitch canker infection. ​High-elevation pine forests not only shape the mountain landscapes we explore, they provide essential ecosystem services to their ecological community. Because they occupy environments near or beyond the physiological tolerances of other tree species, they provide irreplaceable wildlife habitat and ecosystem services, stabilizing snowpack that provides most of the water to the Great Basin. Their extreme longevity and slow growth has allowed for their persistence through significant climatic changes, however, unprecedented ongoing climate change coupled with threats from mountain pine beetle, white pine blister rust, and changes in fire activity now threaten the resilience of these important forest types. Much of the disturbance ecology and dynamics of these species, particularly the compounded effects of disturbances and changing climate conditions, remains poorly understood, necessitating further investigation of these invaluable high-elevation forests. Management efforts to facilitate forest persistence are increasing, but long-term success, especially in the arid regions of the Great Basin, will depend on their ability to naturally regenerate following disturbance under increasingly stressful climatic conditions. ​Our work evaluates drivers of forest persistence and change across varying abiotic and biotic conditions, particularly mechanisms underlying seedling regeneration and success across these environmental gradients. I am working on quantifying natural regeneration conditions in both undisturbed and disturbed (i.e. 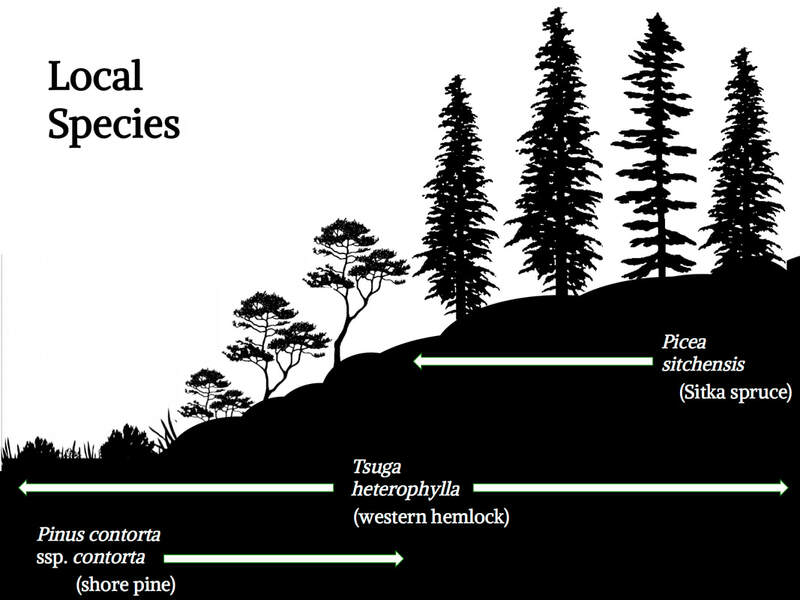 fire, white pine blister rust, mountain pine beetle) high-elevation five-needle conifer forests to better understand the current state of natural regeneration and how disturbance may affect the likelihood of seedling germination and survival. I am also investigating functional trait variation across climatic and geographic gradients in Great Basin high-elevation conifer forests to link this variation to performance in sites that differ in climate conditions. I am also interested in the interaction between high-elevation forests and the abiotic and biotic conditions at upper treeline, particularly in response to winter precipitation and snow. Overall, this study will help inform management and post-disturbance reforestation by identifying conditions leading to low natural regeneration and selecting seed sources that promote resilience to climate extremes and disturbance under future climate conditions. We will investigate how and why woody plant functional traits change across climatic gradients and over varying spatial scales in the Great Basin. We are sampling species and traits across gradients of elevation and plant communities at discrete climate zones identified in the Ruby, Snake, Sheep, and Spring mountains. By measuring functional traits such as growth form, seed number and mass, bark thickness, specific leaf area, and leaf nutrient concentrations throughout these ranges, we aim to quantify trait abundance and the relationship between traits, community composition and differing climatic variables. PhD students Lacey Hankin and Tessa Putz will be conducting this research. ​There is concern that the increasing temperatures and changes in precipitation regimes predicted under a changing climate will further impact the distribution and success of forest species, and this concern is magnified for rare, endemic conifers. The distribution of Monterey pine (Pinus radiata D. Don) encompasses five, discrete populations in Central and Baja California, including the Cambria Monterey pine forest. Monterey pine is hypothesized to have once been widespread across the California coast during the Pleistocene but declined in distribution following the warming and drying of the Holocene. A boom-and-bust cycle of population dynamics appears to be characteristic of this species, but little is know about the micro- and macroclimate drivers of these changes. Under current drought conditions, an absence of fire, and threats of continued climatic stress, Monterey pine health and survival is likely to be further impacted, and the response of this species is unknown. Our work will quantify ecological and climatic requirements for success and evaluate the potential response of this species to changing climate. We are utilizing both long-term, established transects (14+ years of sampling) in conjunction with a new. highly-replicated long-term plot network to track demographic patterns as a function of disturbance, changing climate, and active management. Kevin Hurt and Matt Terzes initiated this study for their senior projects and will be continuing this research for their Master’s work in the lab.